Järva County (area 2623 sq km, population about 40 000) - is marshes and bogs, crystal clear springs, fertile fields and ancient culture and customs. Järva County is a historical county in Central Estonia, occupying practically the same area as the ancient county formed in the 13th century. Järva County is small, there are only two towns: county center Paide, which got the rights of a town on 30 September 1291 and Türi (1/3 smaller in size than Paide) - the Spring Capital, famous for its flower fairs. One of the oldest villages of the ancient Estonia - Kareda - is also situated in the Järva County: the town is also mentioned in the Latvian Hendricks Livonia Chronicle in 1212 under the name Carethen. Local people value Järva County and through their work, activities and caring attitude have created the lifestyle and environment the current County Järva is known for. 1. 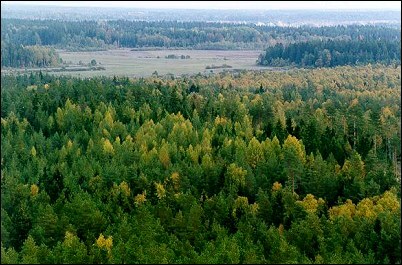 Kõrvemaa Landscape Reserve covers an area of 204 sq km The area is rich in protected plant species (in previous years 23 species of orchids have been found here), a number of rare bird species nest here, including golden eagle, lesser spotted eagle and black stork; wood grouse are also found here. To make getting-to-know the nature of Kõrvemaa easier, special nature trails have been erected: Simisalu-Matsimäe, Tammsaare (Vargamäe)-Järva-Madise, Noko-Lake Kakerdaja, etc. 2. Valgehobusemägi / White Horse Hill is the highest point of Kõrvemaa (107m over the sea level), where in 1976 a 28m observation tower was erected. According to a legend Kalevipoeg rested here from ploughing, the wolves sneaked to his white horse and killed it. The hill of Valgehobusemägi was formed from the body of the horse and due to the disruption of the ploughing the landscape here is hilly. 3. Albu Manor - the first data of the Manor date from 1282 and make it the oldest manor in the County Järva and one of the oldest in Estonia. Probably there was previously a fortified house on the site, as the building is situated on an artificial hill and is partly surrounded by a river. The main building of the current Manor was erected in the middle of the 18th century. The decor is simple and laconic, the doors and tiled stove with early Classical formation have been preserved. In the restoration of the manor building the principle of restoring as close to the original as possible has been followed. 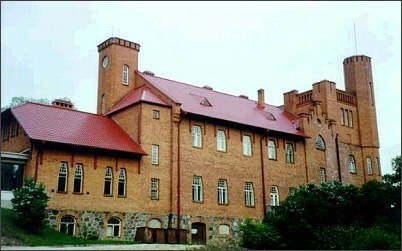 Currently the Albu Gymnasium is located in the Manor, which in the summer period is open to the tourists. 4. 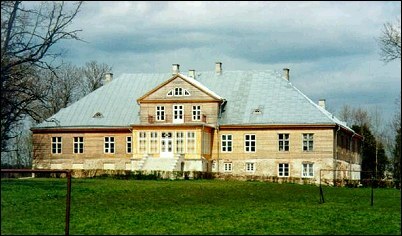 Jäneda Manor. Jäneda Village was mentioned for the first time in documents in 1353 and the Manor of Jäneda in 1510. Since 1921 the Manor has housed an agricultural educational institution. Currently the Jäneda Training and Consultation Center and the biggest conference center of Järva County are located here. One of the most famous composers of Estonia - Urmas Sisask - pursues his activities in the Jäneda Manor. He is the leader of the Estonian Astro Music Center and the Music Observatory-Planetarium of Jäneda that are also located in the Jäneda Manor. 5. 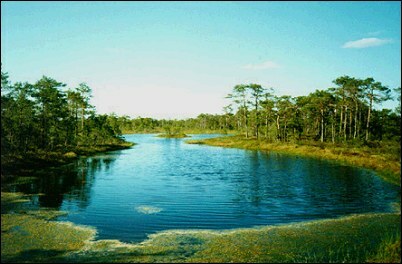 The Area of Norra-Oostriku Springs is considered to be the most abundant water-source area in Estonia (2.1 millions liters per hour). There are numerous springs of different outlet size, depth and flow on the area untouched by human activity. The depth of the Sopa Spring, which is the beginning of the Sopa Brook, has been measured 4.8 meters. 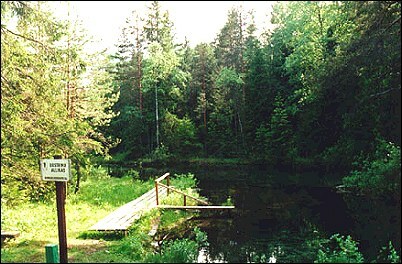 It is the deepest spring in Estonia. Vollingi Spring is one of the most water abundant springs in Estonia. Vilbaste Springs offer a unique view: from the bottom of the spring a sand cloud several centimeters high "boils up", it includes little grains of spring lime and gives the water a green-bluish color. There are many rare and protected plants in the area - lady's-slipper, bird's-nest, marsh helleborine, etc. 6. A.H.Tammsaare Museum. The Museum was opened in 1958 in the Village of Vetepere, in the house where Anton Hansen Tammsaare, the most famous literature classic of Estonia, was born. The complex comprises a dwelling house, barn and farm including a barn, cattle-shed and cottagers' buildings. 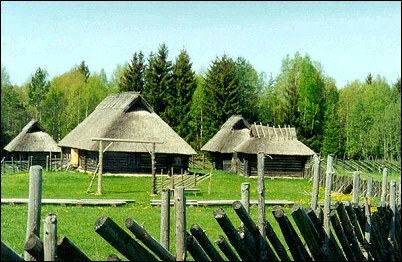 In these buildings the lifestyle of the times of "Tõde ja Õigus" ("the Truth and the Right") is being exhibited. In the former dwelling house there is an exhibition reflecting the life and creative work of the writer. In summer different events take place; the open-air theatre performances are especially popular. From the Museum hiking tracks lead into the countryside of Korvemaa. 7. 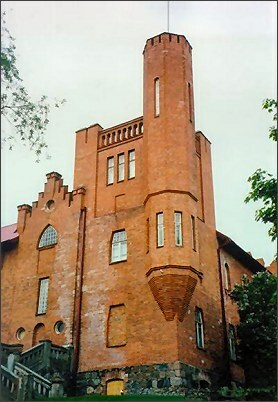 Estonian Broadcasting Museum is situated in the town of Türi. The town became widely known in 1937 when a broadcasting station with the most modern antenna mast in Europe was erected here. The permanent and temporary exhibitions of the Museum reflect the history and development of broadcasting from the beginning of the regular radio transmissions in 1926 until the present time. 8. Museum of Järva-Jaani Fire-fighting Society is situated in Järva-Jaani, at 24 Pikk Street, which used to be a fire-station. The history of fire-fighting through centuries has been displayed in the Museum, including many restored fire-engines. An added attraction is the possibility to order show-events, where the main actors are the voluntary fire-fighters. 9. The Reserve founded on the Türi Drumlins covers about 60 ridges running in a NE-SW direction, created by glacier sheet, the highest of which reaches 79.9 meters above the sea level. In total the drumlins cover the area of 140 sq km. The best overview of the Türi Drumlins can be obtained from the Türi-Vaatsa and Türi-Paide roads. 10. Järva-Madise Church is one of the smallest in Estonia. 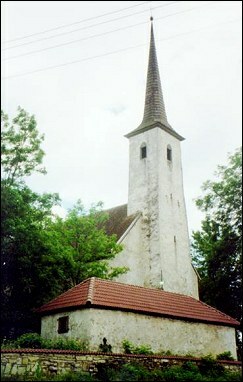 The Church was formerly erected without the West tower. The tower was built in 1858. The furnishing of the Church originates from the Renaissance and Baroque periods. 11. 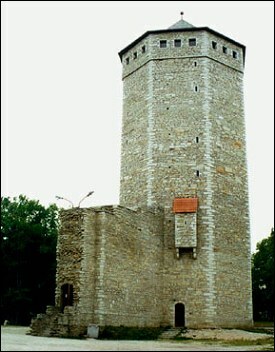 Paide Bank Tower - Pikk Hermann, the symbol of the town. The visitor to the Paide Bank Tower with its exhibition of the older history of the Järva County, Art Gallery and a Cafe, will find seven floors of interesting exhibitions. On the seventh floor there is an observation platform giving a view of the town and its historical streets. The tower has a Cafe with an interesting interior. 12. 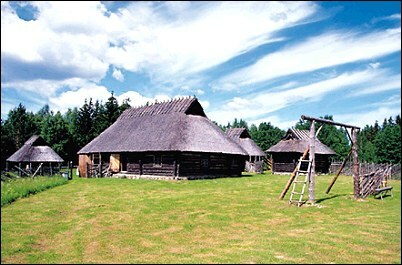 Estonian Dairy Museum was founded in 1976 in Imavere, in the first dairy farm of the Joint Dairy Society in Estonia. The Museum was opened for visitors on 14 July 2001. The permanent exhibition includes the full dairy history in Estonia.